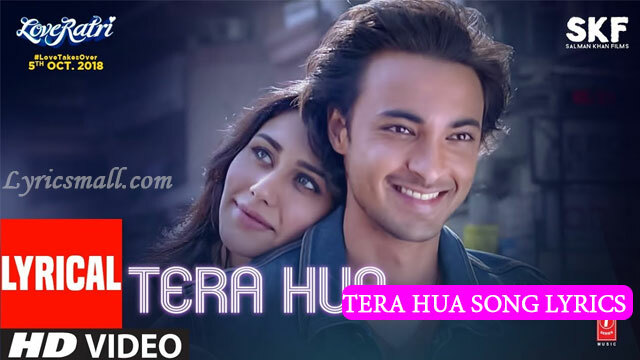 Tera Hua Song Lyrics From Loveratri Hindi Movie. Directed by Abhiraj Minawala. Produced by Salman Khan under the banner Salman Khan Films. Starring Aayush Sharma, Warina Hussain, Anshuman Jha, Ram Kapoor, Ronit Roy. Music composed by Tanishk Bagchi. Lyrics were Written by Manoj Muntashir. Sung by Atif Aslam. Song released under T-Series official label.